The garage door is perhaps the largest moving part in the house. Even if it just glides up or down with the press of a button, the fact remains that it is comprised of several moving parts that need to be maintained. If you are a handy person, lucky for you because you will be able to do some of the garage door repairs on your own. 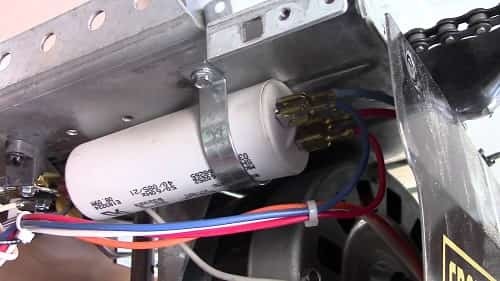 Majority of the repairs needed for the garage door or the garage door opener are simple and can be accomplished by you. If screws, door tensions, metal tracks, hinges, and rollers are your thing, you could probably indulge in a garage doors repair yourself. You just need the right tools handy, and you might give it a try. The very first thing that you should do when your garage door seems out of hand is to inspect it. 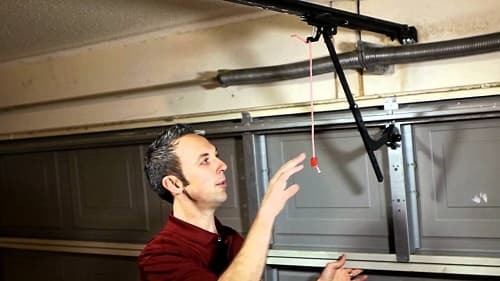 You need to check what has really messed up your garage door. 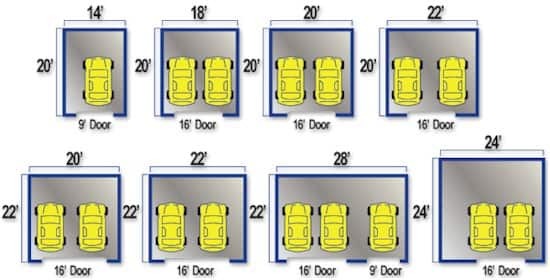 Basically, a garage doors repair would entail checking if the door smoothly opens and closes. With that you will be able to conclude if the torsion springs are working well. If not, then you will need these tools: a mallet, screwdriver, level, powdered graphite, garage door lubricant, and a household cleaner. You should also check for loose hinges or some worn rollers. The mounting hardware should also be tested if they need to be replaced. Lubricating the rollers and hinges might be necessary to ensure that the garage door is in tiptop shape. Dropping penetrating oil like the ones used in motorcycles or those three-in-one oils should be applied on the hinges and rollers once in every year. There is a torsion spring that is attached to the wall of the garage door. You need to take care of this spring because its useful life spans only 7 years. When these break, they explode like a big bang. That is why these have to be installed with a great amount of pressure on it so that it can lift the heavy garage door up and down. It is best to seek the help of professionals such as garage doors repair technicians when installing or repairing these. Maintaining the garage door is the best thing to do to avoid garage doors repair. These may not be on our top list of regular things to do, but we might need to add it even just for once annually to keep our garage doors rolling. Check all the tiny parts of the garage doors and squirt a few drops of penetrating solvent or one that is citrus based. Lubricating the pulleys and bearings of the extension spring openers and the torsion springs will avoid the rust to build and bind up. Wipe out the solvent clean and apply a 3-in-1 lubricant or light oil to all parts of the garage door to prevent garage doors repair. As you are cleaning and lubricating, watch out for stuck hinges and rollers. You will need to soak them in kerosene to put them back in shape. With the help of an old toothbrush, brush in kerosene onto the cracks. You can also use a steel brush or a steel wool to wipe the parts clean before applying the lubricant. For opener that utilize the chain or drive screw system, you also need to apply lubricant to the full length of the chain or the screw. Weather stripping might be present on the sides of the garage door. You might need to adjust it if it seems jammed. Otherwise you will need to call a garage doors repair technician for it to be replaced. 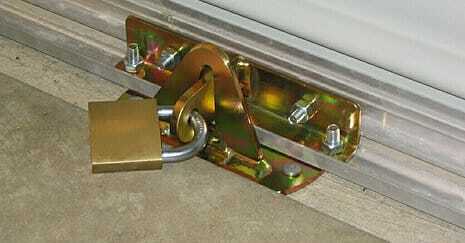 For wood garage doors, maintaining it involves having them sealed and repainted. You should consider adding a touch of weather stripping on the bottom. For electric garage door openers, refer to your manual for minor problems. The manual would show details on how to make adjustments on the various settings of the garage door opener and would also assist in solving some problems. If you think that maintaining and repairing your garage door is beyond your capacity, then you should find a good Canadian garage doors repair technician to maintain and fix it. Otherwise, you might end up backing your car halfway through your garage door. That would look bad for you and your car so don’t wait for this to happen. 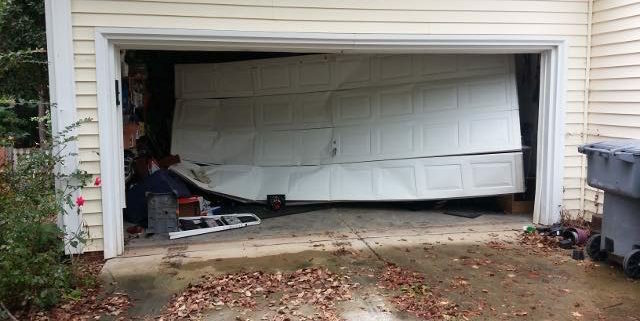 https://garagedoorepair.ca/wp-content/uploads/2018/10/Canadian-Garage-doors-broken-garage.jpg 480 640 admin https://garagedoorepair.ca/wp-content/uploads/2017/06/Canadian-Garage-Door-repair-Logo.gif admin2018-10-13 01:52:202018-10-13 01:52:53Is It Time for a Garage Doors Repair?